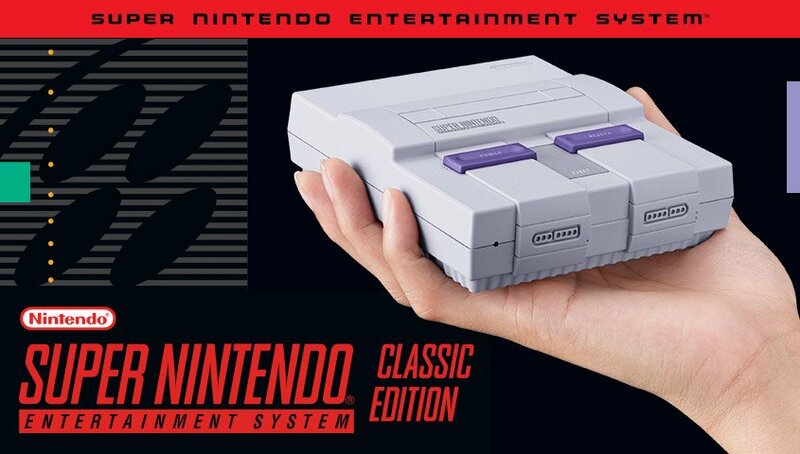 It looks like players keen on picking up the Super NES Classic Edition, Nintendo's latest miniaturized game console, won't be facing the same struggles faced by those who tried to purchase the NES Classic. According to a post made on Nintendo's official Facebook page, the company has announced that the system will be available for pre-order through various retailers. Even better, the company has also revealed that a "significant amount of additional systems" will be shipped out to stores on launch day, which should alleviate concerns regarding under-stocked or out-of-stock bundles. For the past several months, Nintendo has seemed unable or unwilling to keep their products in adequate supply -- consumers have become frustrated looking for both the NES Classic Edition as well as Nintendo's latest Switch console, meaning players have had to use web-based services like Brickseek to find local inventories in their area. With supply so low and demand so high, even ThinkGeek's new and recently-revealed NES Mini bundles sold out before most players could purchase the system. Given how popular the Super Nintendo Entertainment System was in its heyday, and given how much stronger the SNES Mini's game lineup is when compared to the NES Mini, some players gave up on trying to find it in stock shortly after the console's announcement. Fortunately, things might not be so frustrating this time around, especially if Nintendo's increased stock is as "significant" as they say it is. Maybe this time, people who actually want to own the console to the play its 16-bit era games will be able to find one in-stock at its suggested retail price. If not, well, we can be certain that eBay scalpers will have dozens available for purchase at the usual outrageously-inflated prices. Sick of doling out a premium to enjoy old-school classic games? Avoid the frustration by picking up your Android or iOS device and loading up one of the free-to-play titles we've featured on our list of the Best Free To Play Games.